Simply put, a ductless mini split is an easy to install, energy efficient AC unit that doesn’t cost too much to install, and doesn’t require a lot of digging into drywall. If your home doesn’t have ductwork installed, don’t worry! 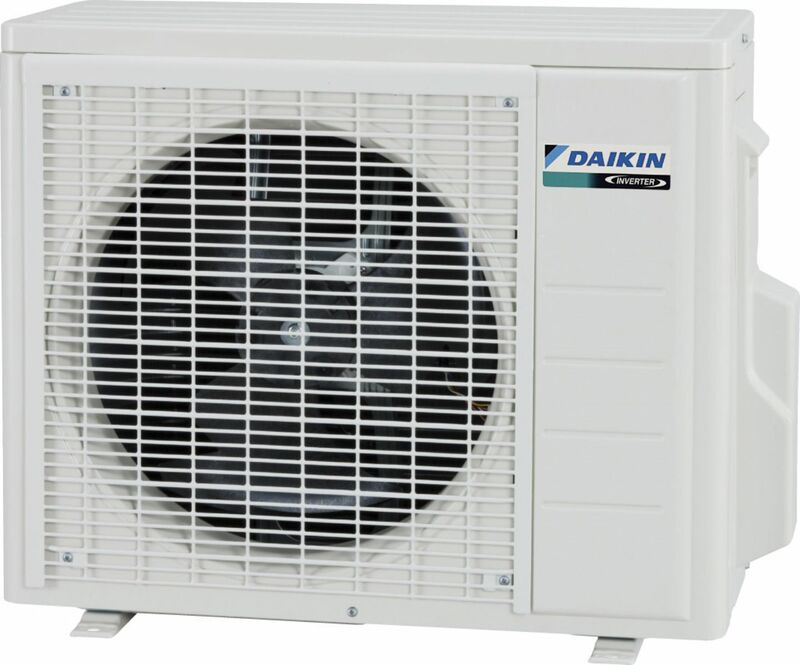 Our Daikin mini split AC units don’t require any duct work at all and are really easy to install. Installing an entire central air system from scratch is an expensive and inefficient hassle that you don’t need to deal with. Skip the AC Wall Unit. Wall units are an eye-sore, not to mention extremely inefficient. Most AC wall units are on the lower end of the HVAC energy efficiency scale (SEER Rating) and are usually of lower build quality. Consider a Ductless mini split unit – they’re efficient, and they save you a window! So Quiet, We Hear You! It’s hot and the AC’s on, but guess what! We still hear you loud and clear. That’s right; our Daikin wall units are quiet unlike most conventional central air conditioning units. Managing sound is just as important as temperature when considering home comfort. Although upfront costs for both central AC and mini-splits are about the same, expect to pay more for labor if you choose central air. Double that if your home needs ductwork installed. Ductless mini-split systems offer quick, easy, and painless installation. Your utility bills and yearly maintenance budget will also go down with a ductless system. It’s just a lot less moving parts to manage. Why stress over central air? Mini-splits win hands-down when it comes to time and money. Mini-splits are just down-right efficient. If you’re not familiar with the rating scale for HVAC system efficiency (SEER Rating), then here’s a brief overview. Most SEER ratings are between 12 and 21: 12 being the least efficient (think old wall units), and 21 being the most efficient (think brand new central air units). So where do our Daikin mini-splits fall on the efficiency scale? Well, actually they don’t! Some of our ductless mini-splits are rated up to 26+ SEER Rating. They’re off the chart efficient! People are starting to value simplicity and customization a whole lot more than before. New home buyers don’t want to deal with central air units that are a hassle to upgrade – not to mention the nightmare involved with tearing out old ductwork. A ductless mini-split system can add to your home’s value due to their simplicity, efficiency, and reliability.